Benchmark Projects was commissioned to lead a project team consisting of town planners, engineers, surveyors, environmental and landscape architects in the delivery of a vibrant waterfront marina which will eventually revitalise the town of Dampier and form a focal point for the communities of Dampier and Karratha. 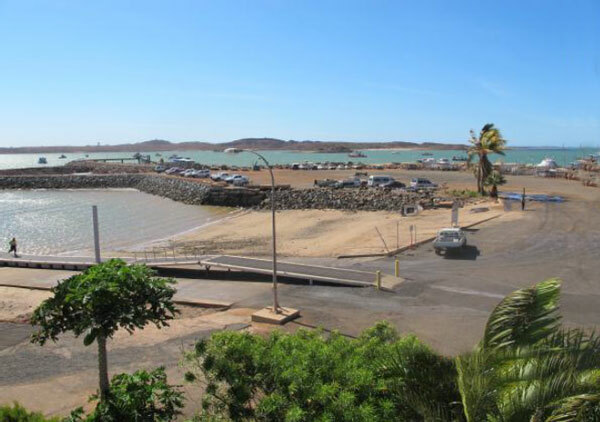 Benchmark Projects completed a feasibility assessment for the proposed mixed use marina development in Dampier in 2009. The company was appointed as project managers to oversee further due diligence, planning and construction of the marina and redevelopment of the town centre. Benchmark’s Project responsibilities included stakeholder management; project governance; business case preparation; project reporting; risk planning and cost and time management. Project sensitivities include exorbitant costs associated with the supply of rock, potentially rendering the project unviable. Phase 1 of the project included a risk management workshop which was facilitated by Benchmark Projects and included representatives from the project team, Rio Tinto, Pilbara Cities, Department of Planning, Dampier Port Authority and Shire of Roebourne. The outcome included a risk management assessment report and preparation of a risk assessment matrix that identified risks, assesses risk and identifies mitigation processes that may be incorporated into a future safety plan. The Western Australian State Government and mining giant Rio Tinto, in conjunction with LandCorp, are working collaboratively to prepare a plan for the redevelopment of the Dampier Townsite to enable an expansion to the existing population, revitalise the service and community infrastructure, and potentially complete the normalisation process by transferring management and maintenance responsibilities of utilities and assets currently with Rio Tinto. The proposal will be complemented by the creation of a vibrant waterfront marina as part of the Pilbara Cities initiative.